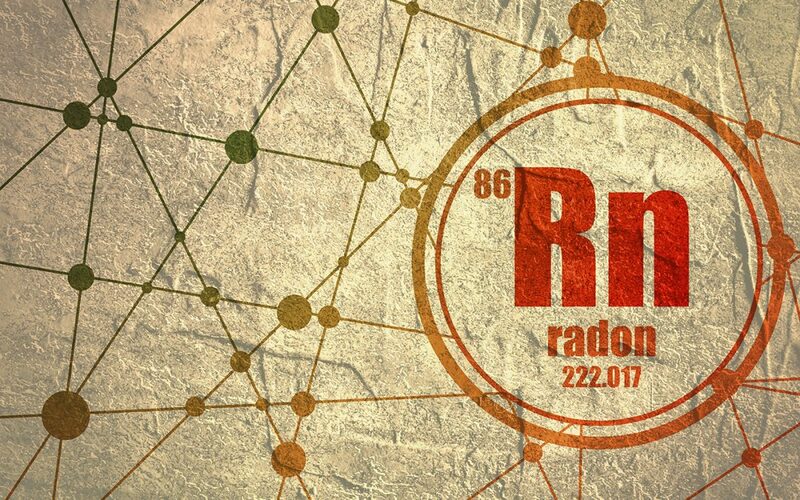 Radon is a hazardous gas that can seep into your home and put you at risk for developing certain health problems. This colorless, odorless, and tasteless gas is undetectable without hiring a professional home inspector to test for radon. Educating yourself on the danger of radon in your home will help you identify the appropriate steps to take should you discover high levels of radon. Radon gas is produced naturally when radium decays in rock and soil. This gas often emits from uranium ores, granite rock, and other types of natural materials in the ground. If you have cracks in your foundation or basement or poor insulation in other parts of your home, radon can permeate into your living space without you realizing it and become concentrated at dangerous levels. Radon can also get into drinking water, and this is often the case if your water comes from a well on your property. The main danger of radon in your home is that it increases your chances of getting lung cancer. Over time, the damaging effects on the lungs from breathing in the gas can cause cells to mutate and divide at an uncontrollable rapid pace. In fact, the Environmental Protection Agency (EPA) states that radon exposure is the second leading cause of lung cancer after cigarette smoking among adults and is the leading cause of the disease among nonsmokers. The testing equipment that’s used by a professional can determine the exact amount of radon in your home. Only equipment that is approved by the EPA and meets state requirements should be used for your test. Once the results are returned, your home inspector will discuss them with you and recommend the best way to mitigate the danger of radon in your home. If hazardous levels of radon are affecting your indoor air quality, certified contractors can use a ventilation system to redirect the gas outside the home. This system is comprised of pipes that go into the ground and funnel radon out through the roof so that you won’t have to worry about the gas collecting inside of your home. Reputable contractors also have equipment that can remove radon from water. By hiring the right professional who can do the proper testing and suggest the most helpful solution, you can successfully go through radon mitigation and be free from the danger of radon in your home. Top 2 Bottom Home Inspections serves Nashville and the surrounding areas with professional radon testing and other home inspection services. Contact us to book your appointment.